A short term missions trip changed my life. 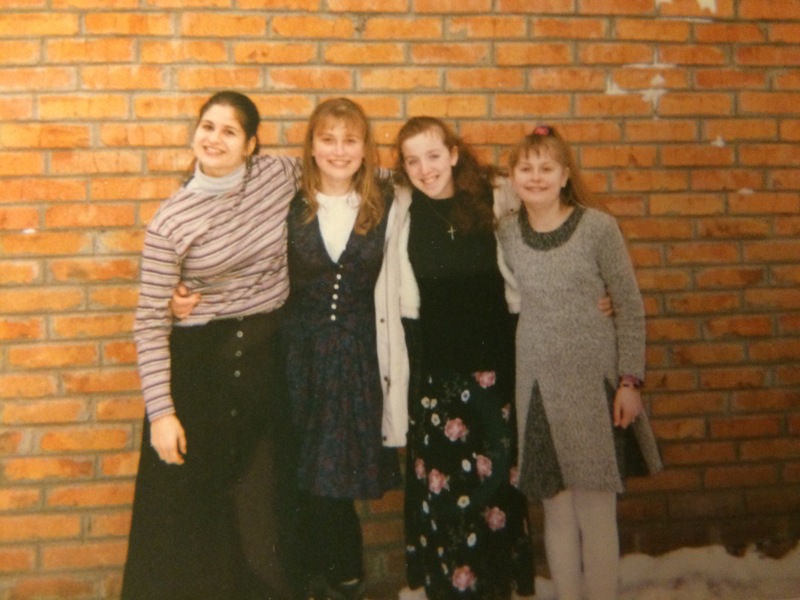 As an 18 year old, newly committed follower of Christ, I traveled to Kharkov, Ukraine with 5 other members of my church. It took planes, trains and automobiles to get to our destination, where we spent two weeks teaching the scriptures, sharing the gospel, and loving orphans. Along with my senior pastor and our translator, I stayed with a tent making pastor and his beautiful wife and children. (From left to right) My teammate, Jennifer, Elena, myself and Natasha. Elena and Natasha are the daughters of my then houseparents in Ukraine. This amazing family sacrificed their food, beds, privacy and comforts to host this insignificant teen. That week I experienced a God who loves His church around the world. I saw the smiles, heard the laughter of orphans who played soccer with us and delighted in the taste of gummy worms. I saw fearful hearts soften with compassion as we shared the gospel with their former communist neighbors. My heart was bound up with those that I traveled and served with- memories of laughter, illness, stepping out of our comfort zones, receiving sacrificial hospitality, and so much more. 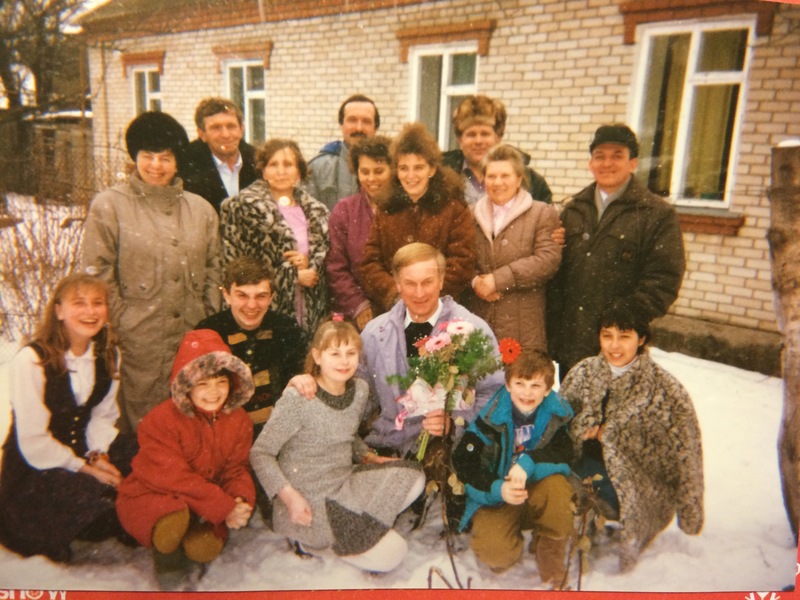 These beautiful people are the pastors and their families of the church we ministered with during our time in Ukraine. And my experience in Ukraine is not unique. Since that time, I have been to Rwanda and multiple times to Belize. The joy of serving Christ with those at my church is irreplaceable- linking us together in a common hope and mission- sharing the gospel and strengthening the global Church. Consistently, my fellow team mates and myself return home fired up, ready to serve God in new ways at home, passionate for the Lord’s church. 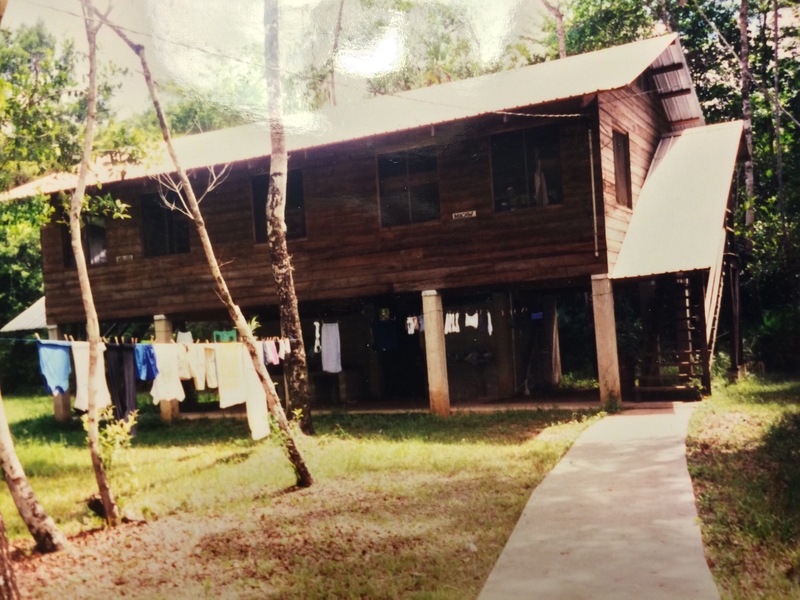 This is the cabin I lived in for two months in Belize (2000)- no electricity or hot water, nightly bed checks for geckos and scorpions, regular extermination of tarantulas and snakes. We often awoke to the sounds of Macaws and monkeys playing in the nearby trees. Short terms missions trips provide opportunities for team members to do things they have never done before. When I went to Rwanda, multiple teammates shared the gospel- an experience they had never had before. The joy they felt prompted them to come home and serve in the local church in ways they had never served before! 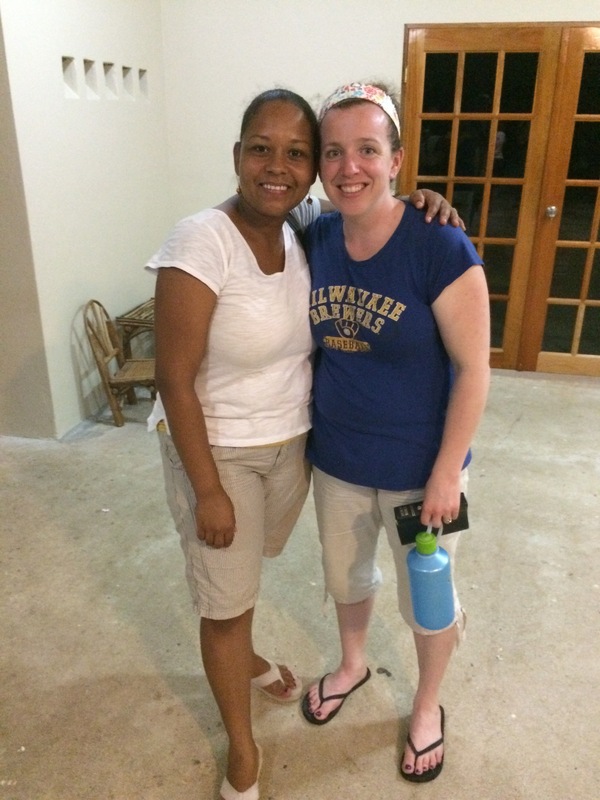 In Belize, teammates taught scripture and led worship- things they had never dared to do at home before. But now that those barriers of self-consciousness have been broken, who knows what they might dare to do in the name of Christ! 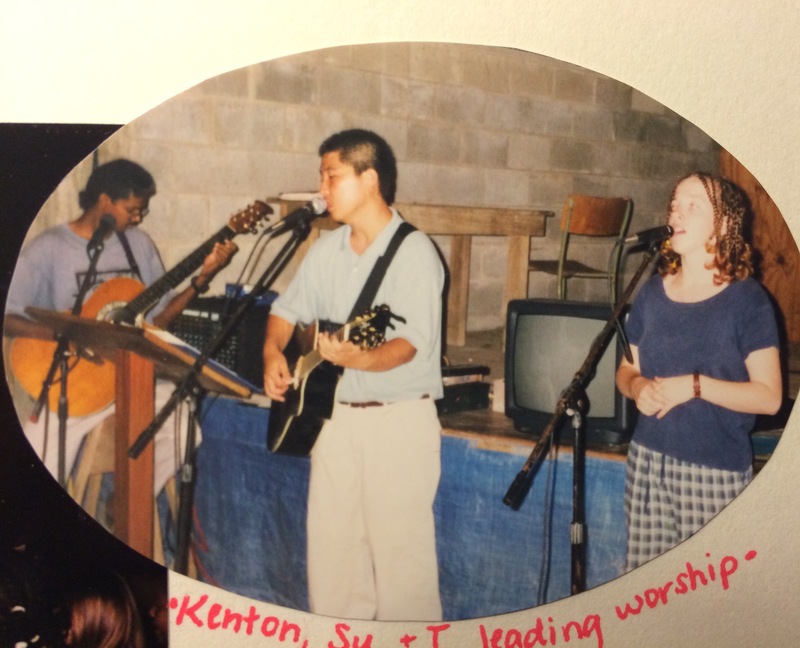 Prior to my service in Belize in 2000, I had been terrified of singing solo and leading worship. That experience helped give me the confidence to lead worship in my local church as an adult. I do not know what kind of impact I have made in others during these trips. I trust that somehow God has used these times to encourage other believers, spread the Good News of Jesus, and draw unbelievers to Himself. I know I am forever changed by each country, culture, church and person I have had the privilege of meeting. I have seen prayers answered in profound ways, come to understand God’s Word in a new light, and learned to appreciate different ways of worshipping God. 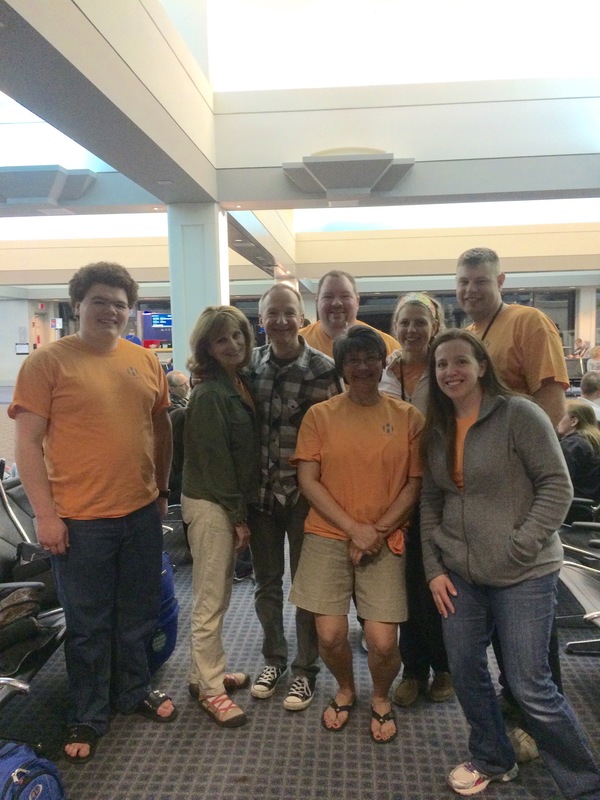 Have you ever served on a short term missions trip? If not, is it possible that God is calling YOU to step out of your comfort zone to serve Him in a new country and culture?? Is He calling you to go again?? I’d love to hear from YOU!! This is the team of my most recent missions trip to Belize. Our purpose was to equip and encourage the Church in Belize, mainly through teaching and the sharing of the Gospel. I was privileged to share the Gospel with this man, Tash, and a lovely Mayan woman named Angelcita while we were in Placencia. Suddenly I found myself looking for opportunities to share the gospel where I might have otherwise tried to avoid talking to strangers. It was hard to come home. And probably not for the reasons you think. Yes, it’s beautiful. Yes, it was HOT after being in frigid Wisconsin all winter. Yes, it was a break from my regular responsibilities of cooking, cleaning and homeschooling. But that’s not why it was hard to come home. I have developed a love for the missionaries we partner with. They are people that I want to be like- in them I observed people who purposefully encounter strangers, ready to share the Gospel or intentionally seeking to encourage a brother or sister in Christ. Man, I want to be like that! I want to be so Kingdom-minded that I seize every opportunity to share the love of Christ with others, rather than hoping a stranger won’t strike up an awkward conversation with me in the local coffee shop. It was hard to come home because it was the first time that I returned to the same place of ministry, able to reconnect with people I had met before. How SWEET it was to see familiar faces and receive a smile, or even a hug, of recognition! How wonderful to be warmly welcomed by missionaries and pastors, knowing that we are partnering together to lead people to Christ and to strengthen the Church through teaching and equipping. This is Zelda and I, working together again after we met initially at Camp Machaca in 2000. It was amazing to meet up with Zelda, a young woman I had worked with at Machaca Summer Camp in 2000. How sweet it is to see her steadfastly serving the Lord 15 years later! It was wonderful to once again see little girls we played with last October. Where six months ago there were shy smiles and play time, now there were warm hugs, selfies, singing, showing us their homes, learning about their lives and growing in relationship. 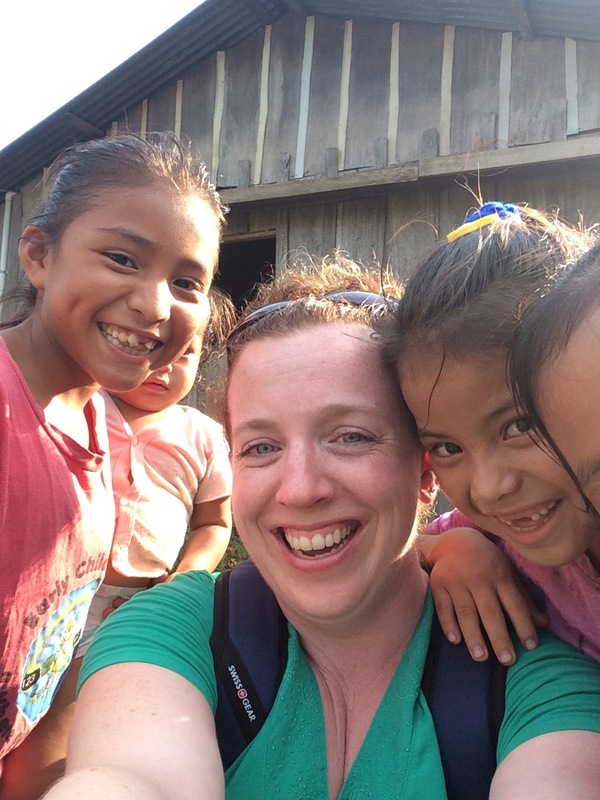 It was so fun to reconnect with these little cuties when we visited their home village of Machaca in April. Our team initially met them in October 2014. 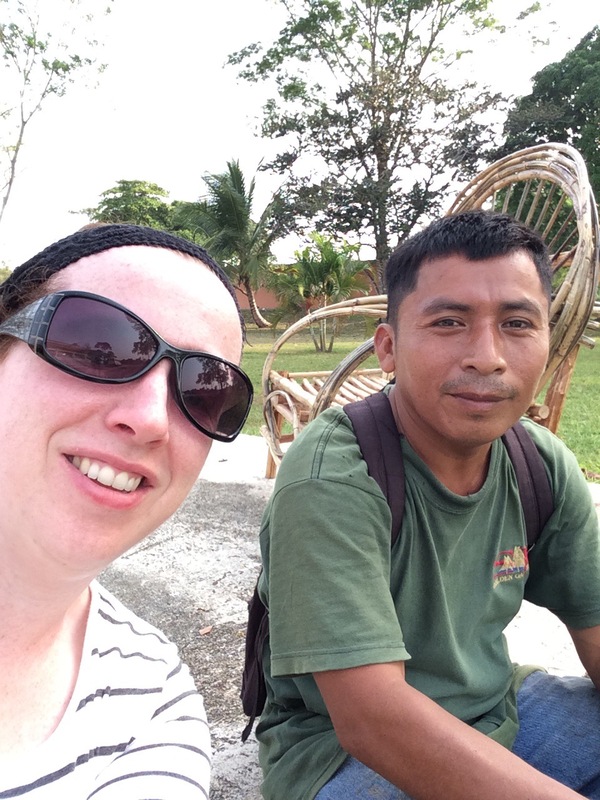 It was hard to come home because life is relatively simple in Belize- or atleast it appeared that way to me. Part of the simplicity is due to poverty- if you don’t have money to spend on stuff, you don’t have stuff to complicate your life. Joe and I came away with a strong desire to simplify our lives- from diminishing our excessive wardrobes, to purging the ridiculous amount of toys our kids own, to limiting the media that our family has access to. All of our “stuff” gets in the way of our family’s relationship with Christ- time spent managing our excess is time spent distracted from our Lord. I come away from our time in Belize with new perspective regarding what it important, what is of eternal value, and what some of the distractions are that I need to eliminate from my life. I have a renewed sense of mission- God has called me to be a missionary at all times, wherever I may be. I am to love my neighbor (everyone) and seize every opportunity to share the Good News of Jesus Christ with those I encounter. That means I have to be prepared to share the Gospel! Nothing is more important than fulfilling that mission- whether it is training up my children to know the Lord, discipling the women in my small group, or traveling around the world on a short term missions trip. My desire is to be useful to the Lord by Doing Life Deliberately! !